As children, most people experience excitement and even pride the first time they lose a tooth. After all, it’s an important rite of passage and often an excuse to receive a treat from the Tooth Fairy. Unfortunately, adult tooth loss tends to elicit far different feelings, namely frustration, embarrassment, and even anxiety. “How will my smile function, now?” is just one of the many questions adults tend to face, after suffering from tooth loss. Fortunately, dental prostheses like implants make it possible to rebound from tooth loss with a renewed sense of confidence. So, if you have suffered tooth loss, or if your dentist has extracted one or several of your teeth, it’s time to ask him or her about how a dental implant could help. Are You Ready to Restore Your Smile, Securely? 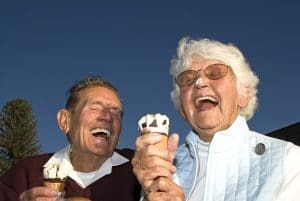 While dentures, both partial and full, remain an incredibly popular way to complete one’ smile following the loss of a single or several teeth, they are not the only option available. In fact, many patients find that they lack the stability they would prefer in a prostheses. This is why dental bridges and dental implants, in particular, make wonderful alternatives. Implants are the only prostheses available that rely on titanium posts to mimic the role of healthy tooth roots, which serve to hold teeth securely in place. These mimic roots serve another important function too, though, and that is to help provide nutrients to the jaw during chewing, something that naturally occurs when healthy tooth roots are present. Prosthetic dentistry makes it possible to rebound from tooth loss with beautiful results. You can schedule a prosthetic consultation by calling Dr. Steven Huffstutler in Ft. Worth, TX, today at 817-577-1444.